View the “Best of the Best!” at our 40th annual Masters of Miniature Model Ship Show. 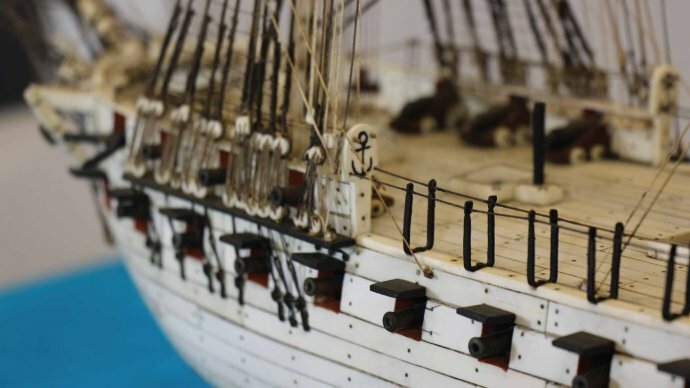 Attendees will have the opportunity to view the prize winning models from the last 5 years, partake in family activities including a scavenger hunt, learn how to get a ship into a bottle, observe a model ship restoration every Wednesday, and more! The model show is presented by the USS CONSTITITION Museum and the USS CONSTITUTION Model Shipwright Guild and is funded in part by the Boston Marine Society. The show runs daily from February 2 – March 23, 10 a.m. – 5 p.m. Admission to the museum and the model show is by donation. Watch professional ship model conservator Rob Napier clean and restore a late 19th-century model of USS CONSTITUTION from the museum’s collection that was built by one of her crew members. Every Wednesday, February 2 – March 23, 2019 from 10 a.m. – 2 p.m.